A complete course on Bolognese swordplay for the spada sola, sword alone without sidearms. 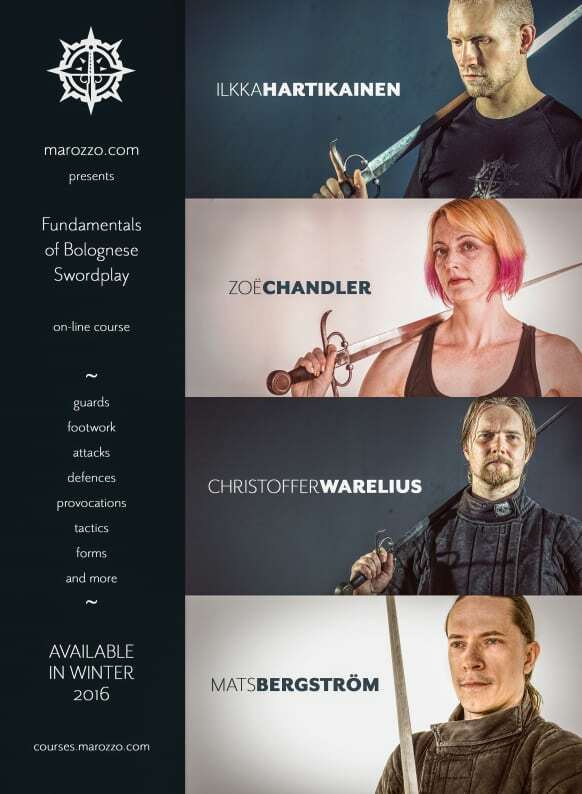 A perfect foundation, this course will take you from the so called alphabet of the art with the fundamental guards, steps, attacks and defenses to being able to practice them in free fencing. The course is created as a modern, modular system easy to understand and apply, but with everything strongly grounded in the study of the historical sources. This course will become available in late 2016.